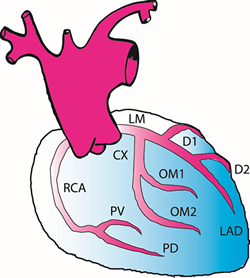 Cardiac – Cardiovascular Associates, P.C. Any time we utilize the heart-lung machine, we refer to the surgery as open heart surgery. The most common procedure is coronary artery bypass and the second most common is replacement of one of the heart valves. We also use the heart-lung machine to repair aneurysms of the heart, congenital defects, and certain aneurysms of the aorta in the chest. 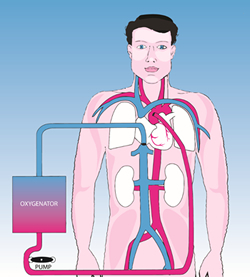 At the time of surgery, lines are placed in the heart to carry the blue venous blood to the heart-lung machine where it receives oxygen and the now red oxygen-rich blood is returned to the aorta to supply oxygen to the head, kidneys and other organs of the body. The patient is given a blood thinner, heparin, which prevents the blood from clotting in the heart-lung machine. After the patient is on the bypass machine, we can stop the heart with a solution high in potassium. This makes it easier to work on the arteries of the heart, or to open the heart and repair the valves or congenital defects which may be present. Once the bypass, valve replacement, or other intervention is finished, we allow the heart to start beating again. With the heartworking on its own, we wean the patient from the bypass machine. The lines are removed from the heart and the patient is given another medication to reverse the effects of the blood thinner. In the Intensive Care Unit, you will notice a number of tubes and wires. Temporary pacemaker wires are placed in the muscle of the heart and brought out through the skin. They are removed at the patient’s bedside with minimal discomfort. Chest tubes are placed in the chest to drain any residual fluid. The chest is closed with stainless steel wire which is permanent. This provides stability to the sternum while it heals. In some patients, we are unable to wean the heart from the bypass machine without other support. In these cases, we employ a device called the intra-aorticballoon pump. This is a line which is passed from the groin through the artery to the leg up into the aorta in the chest. 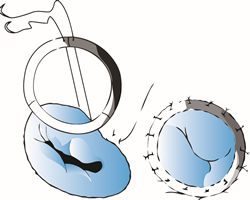 A balloon is located at the tip which inflates to help the heart pump. This device is not an artificial heart but is a heart-assist device. The first 24 hours after surgery is usually the most critical time period. The patient is carefully monitored for changes in blood pressure, heart rhythm or for bleeding. Occasionally, there will be some persistent bleeding after surgery. This is usually secondary to getting the blood to clot normally. In these cases, we will return the patient to the operating room to evacuate any blood in the chest and to check for any sites where we can aid in control of bleeding. For most patients, this is a troublesome but not dangerous complication. When there is atherosclerosis involving the heart arteries, the heart muscle does not receive sufficient oxygen for its needs. This may result in angina or even a heart attack. For patients with blocked coronary arteries, there are three treatment options: medication, balloon or atherectomy procedure, or surgery. Unfortunately, there is not any medication to remove the plaques caused by atherosclerosis. By controlling the risk factors for heart disease, we may slow its progression, but we can’t prevent it. The major role for medication is in the treatment of the symptoms of heart disease. For selected patients, the treatment of choice will be balloon angioplasty, stent placement or atherectomy. These are procedures performed by the cardiologists in the catheterization laboratory. For many patients, the best treatment is a coronary artery bypass procedure. This operation involves an incision in your sternum (breastbone) and usually in your legs. You are placed on the heart-lung machine and while your heart is stopped, we bypass the blocked arteries. This procedure is called a bypass procedure because we do not directly attack the cholesterol-containing plaque, but rather bypass the blood around it. This is done by bringing down the internal mammary artery from behind the sternum or by using a portion of vein from your leg. The end result is that blood flowing out the aorta uses the bypass to flow around the blocked coronary artery providing blood to the muscle of the heart. The majority of patients are free of angina after coronary artery bypass. There is some risk to the procedure. For even the best patients, there is still a small risk of death, heart attack or stroke. In addition, there are usual risks of surgery including bleeding or infection. With heart surgery in particular, it is important to remember that we may not always be able to predict possible complications. We will take the very best care of you, and all our decisions will be based on what is in your best interest. Endoscopic saphenous vein harvesting. Traditionally, harvesting the saphenous vein from the leg has required a long incision in the thigh, down into the calf. This incision is 18 to 24 inches in length and frequently patients complain much more about their leg pain than they do about the pain in the sternal incision. In a minimally invasive technique, we use a camera to access the vein through a 1 inch incision near the knee. The vein can be removed from the thigh to the calf with minimal skin incision. This technique results in less pain, less swelling of the leg and a lower incidence of problems with wound healing in the leg. Thus patients make a quicker recovery and are able to go home sooner. Multiple arterial bypasses for patients with no saphenous vein. In cases where patients do not have a vein in either leg due to prior surgery, we now have multiple arterial grafts that can be utilized. These include the right and left mammary arteries, the gastro-epiploic artery from around the stomach, and the radial artery from the forearm. Heart valve surgery repairs or replaces the damaged valves of the heart. It is frequently combined with coronary artery bypass surgery. This is a bigger operation than simple bypass surgery. The heart is opened and the affected valve is repaired or replaced. If replacement is performed, there are two categories of valves which we use. 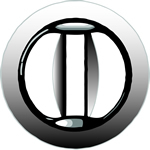 Some valves are made from manufactured parts and we refer to them as mechanical valves. Others are made from tissue. The tissue valves have an advantage in that patients do not need to take a blood thinner (Coumadin) after surgery. However, they have a disadvantage in that the longevity of the valve is not equal to the mechanical valves. After valve surgery, you will need antibiotics prior to any procedure. If you have a mechanical valve, you will need to take Coumadin for life. You will need blood work (Pro-Time) monitored regularly by your family doctor. The risk of valve surgery is greater than that of coronary artery bypass surgery. For patients who have a slow heart rhythm or who require medication, which slows the heart down, a pacemaker is often employed. Most often, this is placed with the patientawake. Using a local anesthetic called lidocaine, the pacemaker is placed under the collar bone. A needle is used to find the vein, which runs under the collarbone and through this vein two leads are passed into the heart. These leads are then connected to a device, which acts as a computer to determine when you need pacing and as a battery to provide the stimulation for pacing. The most common risk of surgery is a pneumothorax, an accumulation of air in the chest outside the lung. This requires placement of a chest tube for a few days. However, there is a small risk with manipulation of a wire in the heart. After placement of the pacemaker, we will monitor your heart in the hospital and at regular six-month intervals thereafter. Occasionally, patients will have life-threatening irregular heart rhythms. For these patients, the Automatic Implantable Cardioverter Defibrillator (AICD) administers an electric shock to restore the normal heart rhythm. The AICD has electrodes to monitor the heart rhythm and to deliver a shock when necessary. These are connected to a generator, which evaluates the rhythm and stores energy in large capacitors to administer the necessary shock. A new surgical therapy for atrial fibrillation has an excellent success rate for keeping patients in normal sinus rhythm. This minimally invasive procedure requires a very small incision in the chest and the use of a camera. Two separate energy sources that are commonly used include ultrasound and radiofrequency energy. The atrial fibrillation is converted into sinus rhythm during this procedure. Patients are commonly placed on an antiarrhythmic or anticoagulant post-operatively. The Maze procedure is sometimes done at the same time as other procedures such as coronary artery bypass grafting and heart valve surgeries.